One Door Closes, Another Market Opens; Stop By Today! Metal Chef Competition @ MAC to Benefit Parkinson’s and ALS – Friday, October 12th ! Enroll for Fall Tennis now! LSF Flex League Is Looking For Some New Tennis Competition! Jumpstart Your Diet and your Fitness with our New Fall Back into Fitness Program! Guess whose back, back again, Darrel’s back, tell your friends! October fun in Pee Wee Preschool! Don’t Go Stir Crazy, Visit LSF Childcare! Stingrays Dive Full Into Competition Season! Triathlon Training – You’re One Stroke Away From Setting A Record! Join us for our Fall Halloween Festival featuring, special spooky performers, ghoulish decorations, fantastic fun activities for kids, pumpkin decorating and spook-tacular games in our rooftop maze, and of course candy! There will be something for every age! Sensory play and arts and crafts for the littlest goblins and lots of freaky fun games for the older ghouls. You will not want to miss our Falloween Festival! Drinks and food available for purchase. If the weather proves too ghastly, festivities will be moved inside. Guests are welcome! $5 for each non-member child and $20 for each non-member family who attends. Please note – we will not be doing a Halloween event on the 31st this year so make sure to attend our Falloween Celebration instead! Although the Harvest Rooftop is closed for the season, make your way to the 2nd floor 1320 Market to fulfill all your snack and dining needs. Stop in for breakfast from 7:30 AM until 11:30 AM and enjoy delicious, original creations like the Open-Faced Breakfast Salmon Burger. Swing by for a quick lunch starting at 11:30 and try our homemade soups or Grab & Go salads and wraps. In a hurry? Pre-order a smoothie to be ready for pick-up after your exercise class. Bring in the family for dinner and enjoy a glass of wine with your mouth-watering Salmon or Beef Short Rib Entrees. The 1320 Market offers dine in or carry out options for your convenience. Metal Chef Competition @ MAC to Benefit Parkinsons and ALS – Friday, October 12th! Join us Friday, October 12th as we partner with Mid America Club for a friendly Competition between three local chefs! For only $49 you get live entertainment, scrumptious hors d’oeuvres, cocktails, silent auction and it will be a wonderful evening for a great cause! Lakeshore will be hosting two racquet demo days this fall! Please join us for our Head racquet demo on Saturday, October 6th from 4-5pm on tennis courts #5 & 6 before our fall Team Tennis kickoff! Our Wilson racquet demo will take place on Saturday, October 20th from 4-5pm on tennis courts $5 & 6 before the fall Team Tennis matches begin. We hope to see you there! Our Fall session of tennis classes has begun, but there is still time to register! This session will run until November 11th. We offer pre-paid private and semi-private lessons and many group classes including Future Stars (3+ years), Under 8, Under 10, Under 12, Under 14, Under 16, Junior Academy and Adult Group classes. For more information, please contact the Racquet Sports Department at LPRacquet@LakeshoreSF.com. What better way to fit in some competitive match play this Fall than in LSF’s very own Flex League? Groups will be created with up to 10 players of the same level who then contact each other to schedule matches at a mutually convenient time (mornings, evenings, weekends, it’s up to you!) At the end of the session awards are given out to the top 3 players in each level. We are currently looking for players of all levels for our Fall session. Contact Jack at (773)-770-2403 or JackP@LakeshoreSF.com for more information. The racquet sports department is excited to announce it will continue to offer its adult team tennis matches this fall! Come out and have some fun with a team playing social-competitive doubles, mixed doubles, and singles. Join all the teams who had a great time this past winter and summer! Socialize and get to know more tennis players via complimentary pizza, beer and wine afterwards. Contact Charles Phelps to register at CharlesP@LakeshoreSF.com. Have you seen those crazy people in the parking lot playing all winter long? We’d love to get you involved so you can see why this sport is the fastest growing racquet sport in the region! We have intro classes, private lessons, private groups, an in-house league and men’s travelling teams which have availability. Please contact LPPaddle@LakeshoreSF.com so we can get you involved! We understand that it is easy to lose track of your fitness priorities this time of year. That’s why we have created a program that has it all. The Lakeshore Kitchen and Personal Training team have joined forces to help you fast start your fitness. Introducing Fall Back into Fitness. This program is designed educate you on what types of meals you should be prepping, and what types of workouts you should be doing to Fall Back into Fitness this year. This program includes Nutrition Seminar presented by the PT360 team. 3 pre-made meals prepped for 5 consecutive days by our executive chef and his team. You will also receive 5 consecutive days of group personal training sessions to jump start your workouts. This program runs the week of October 22nd. Registration is due by October 19th. It’s October which means it’s officially Fall. There are so many scientific lessons to learn from the changing of seasons. We will be studying the changes in the leaves, the colors we see, the temperature outside and some of the things we celebrate during this wonderful season. We will also explore nocturnal animals and insects. It will be an exciting October and we hope to have your child join us. For more information please visit the Pee Wee page at www.lakeshoresf.com or email ErinC@LakeshoreSF.com and ask about signing up for a FREE trial day for your 2-4 year old. Now that it’s starting to cool down, going outside to play isn’t always an option. Bring your kiddos into our warm play environment to get their energy and creativity flowing for a few hours while you warm-up in one of our group fitness classes or just grab a cup of coffee. We have toys, games, puzzles, an energetic and caring staff and areas for running and climbing. Two mornings a week we offer interactive music classes with Mr. David and we have arts and crafts available each day. There is always something exciting going on! Our October hours are 7:45 am-7:00 pm Monday thru Saturday and 7:45 am- 6:00 pm on Sundays. For more information please contact ErinC@LakeshoreSF.com. If on October 8th you have no school because Columbus sailed the ocean blue, come to Lakeshore School Day Out Camp for the day! School Days Out Camp is LSF’s September-to-May camp option when school is not in session. We offer a full day of engaging and recreational programming that makes full use of our facility, neighborhood, and all-star staff. Camp includes a hot lunch, afternoon snack, and daily swimming! The cost is $99 per day for members and $149 for guests. Before Camp and After Camp options are also available if extended care is needed. This School year all registration for School Day Out Camp will be done online through the same online registration website as our summer camp. Please click here for information on registration. Our Stingray Swim Team will be competing this month in their first of two meets of the season. The team will compete on October 6-7 at the ACAD Speedo Fall Open in Aurora followed by another meet on October 20-21 at CWAC Halloween meet at UIC. Stingrays are still holding daily tryouts; so it’s not too late to join this Championship team. 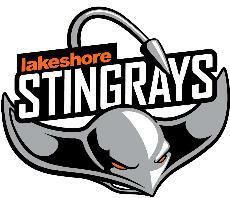 Please contact us at Stingrays@LakeshoreSF.com to schedule a tryout. Triathlon season may be winding down to a close but that doesn’t mean your training does. Did you know we offer 1 hour adult one-on-one swim session ($75 for members and $110 for guest) as well as 1 hour triathlon level swim sessions ($90 for members and $130 for guest)? Use this down season as an opportunity to improve technique, conditioning and reach your goals with one of these customize sessions. Contact our aquatics department at LPAquatics@LakeshoreSF.com for availability.